I have to admit I am totally surprised and extremely pleased to have won The President’s Award for 2011 in the Wildlife Art Society of Australasia. It’s even more amazing considering the wealth of talent and superb art entered into the same shows I was in. 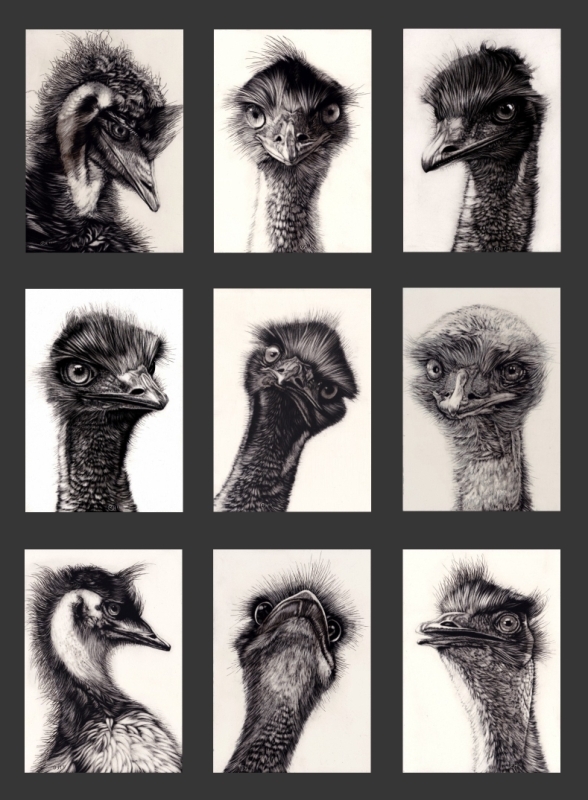 I also won ‘Most Popular’ piece at the Bundoora Historic Homestead “The Art of Wildlife” show for my montage of emus, “The Birdy Bunch” pictured below. This was a fun piece to work on, finding such different ‘personalities’ in emus without turning them into caricatures, but simply showing them as they are in their many guises. It was also fun gathering reference material whilst constantly feeling they would peck my eyes out!